By RH Ramsey/ I travel, and by travel, I mean, I am a storyteller. From the moon, to the tide, I weave stories. It is here, in a state that could only be described as dream-like, I want nothing more, than to bring the stars to my fingertips – to pages. As writers, we delve deeper into our ability to take something no one else can see, and submerge ourselves in this unseen element. Then, through this gift, we illuminate the depths of the human experience. 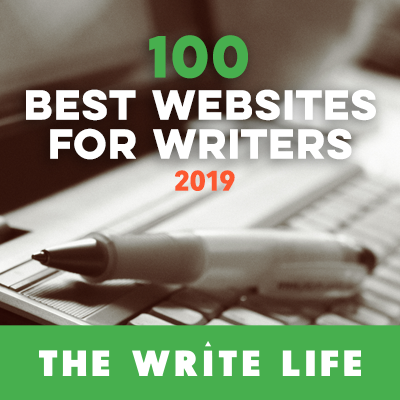 From fiction to non-fiction, fantasy to suspense, this is art, and we – writers, artists, creatives – are illumination. When I am writing, one minute the sun is peeking through the clouds at noon, and what feels like moments later, 3am is waving at me from the moon. I don't remember a time when I counted words or chapters. There hasn't been a time that I can recall, when I put a limit on how many chapters I would complete in a day or week. I have never stopped the flow of a story because, to me, these things are stifling. But I also understand the importance of discipline and structure. For years, I felt guilty when things I had written about simply flowed, and the topic was one in which I had not immersed myself. I had never experienced what filled the pages of my novels. Now, I realize that this is what empathy is made of. The components of compassion are in understanding that your shadow is no different than my shadow, the blood you bleed is no different than mine, the tears you cry are no different than mine; hurt is hurt, and everyone has been hurt. And isn't all hurt related in some way? If I were to draw a diagram of hurt, would the dots not connect? Many authors write from experience, for to write what you know is an adage few writers have not heard. It is common sense; it is wise. I admire people who write about only things they know, have experienced, have researched before putting pen to paper. I only want to express that in my experiences, distancing myself from everything I know, brings me closer. There are topics I have researched diligently, but there are also things I write about, that are quite distant from me. Which leads us to the final point. With empathy, I can draw connections to my book's character, who has perhaps lost her closest friend. No, I have never lost my closest friend but, in those moments, my soul is somehow unaware of this, and my heart is shattering by the second. As I imagine two women – friends – side by side, I know that I will never see my closest friend, again; she is gone, forever. I can hear a eulogy. I can feel my child reaching up to take my hand as I weep. When I say my prayers at night, I will by accident, utter her name, and come crashing back to earth, as I realize she is gone. And when I call her . . . I will have to settle for hearing her on voice mail. As with all things, there must be a balance. But I can admit, I appreciate travelling, creativity and empathy – all of these things from a distance. It is from a distance, I feel, that I am at my best artistically, creatively. Travelling, collecting stars – prismatic beams – and placing them in the palms of readers' hands. RH Ramsey is a military wife, mother of two and author with Inknbeans Press. Over the course of nine years, RH has diligently researched topics ranging from but not limited to: relationships, addiction, abuse and mental illness. 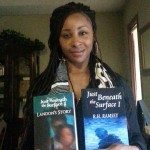 Ramsey has written several novels, many short stories with many works in progress. Just recently, her novels have found their way into local bookstores, and local library bookshelves. With a passion for people, helping and learning, she hopes to continue in her quest of learning from and inspiring others. Check out her blog and Amazon author page, or follow her on Facebook.